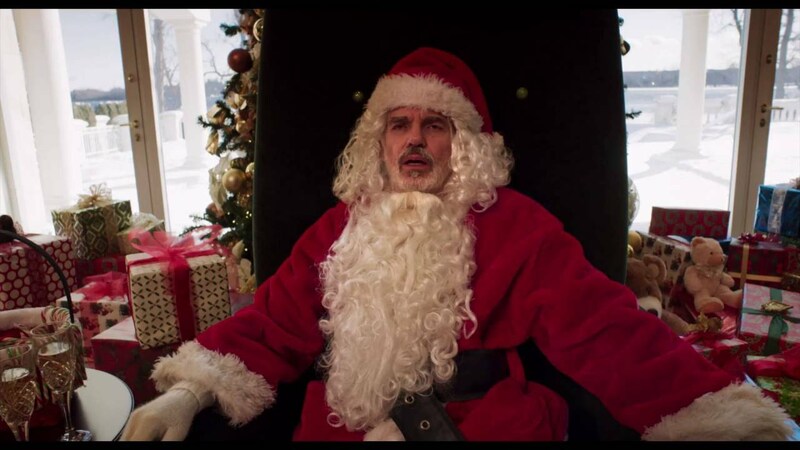 2003's Bad Santa, the Terry Zwigoff directed cult classic, was a good alternative to the sickeningly sweet festive flicks regularly released, and remains just that. The same cannot be said for this sequel, as the best it can offer is an alternative to banging your head against a brick wall. 13 years after the events of the first film, Willie Stokes (Billy Bob Thornton) has hit a rough patch in his life. Once more teaming up with Marcus (Tony Cox), Willie sets out to commit a robbery on a Chicago charity, masterminded by Willie's own mother (Kathy Bates). It leaves one wondering if director Mark Waters and the pair of screenwriters had seen the original, or just decided to not make an attempt. The humour, if one can call it that, is overly reliant on needless insertions of curse words, lazy attempts to offend and Billy Bob Thornton in a variety of sexual positions, while throwing in a teabagging montage. Extremely nihilistic and mean spirited, this edges out holocaust drama Son of Saul for the years most depressing picture. The one inspired idea this film has is casting Kathy Bates as Willie's mother, only to then completely wastes her talents. The rest of the picture is merely a sequel which does the same thing as its predecessor, and doesn't even try to cover it up. All this makes for is a wearying exercise in laziness. Last year's Mad Max: Fury Road and Star Wars: The Force Awakens showed how to reinvigorate a franchise with a freshness that also serves as a reminder why their early instalments were so beloved. 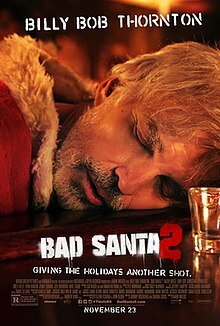 Bad Santa 2 shows why some should remain dead, or not be extended past a single film. But if you ever wanted to see Santa threatened with sexual assault, then this is the film for you.